Heads Up Festival’s 12th season will take place from March 27-30 at various venues, including Hull Minster, Hull Central Library and Kardomah94. This season’s artistic programme includes The Paper Cinema’s Macbeth (March 29 & 30), Now Is The Time To Say Nothing (a collaboration between Syrian film-maker Reem Karssli, a group of young Londoners and artist Caroline Williams, on March 28-30) and Olivia Furber, Ramzi Maqdisi, 9T Antiope and Hannah Mason’s The Land’s Heart Is Greater Than Its Map (March 29 & 30). This season also sees the first play by Hull’s controversial ‘twitter influencer’ and filmmaker Dave Lee. Lee’s The Orchidian takes place at Kardomah 94 on March 27. The festival, delivered in partnership with Battersea Arts Centre and part of the Collaborative Touring Network, will also provide free workshops to schools in the city of Hull. Following their critically acclaimed show The Paper Cinema’s The Odyssey, the company re-imagines Macbeth as a cautionary tale for our times. With typical charm, wit and invention the company will take the Hull Minster audience on a journey through rugged Scottish landscapes to encounter storms, battles, betrayal and murderous plot. 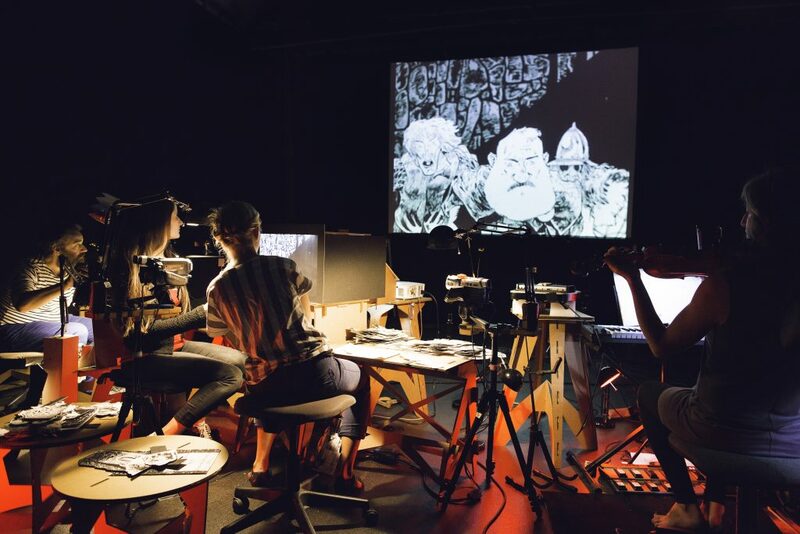 Shakespeare’s tragedy is brought to life as beautifully drawn puppets, evocative music, foley and cinematic projection combine in a captivating silent film created before your eyes. 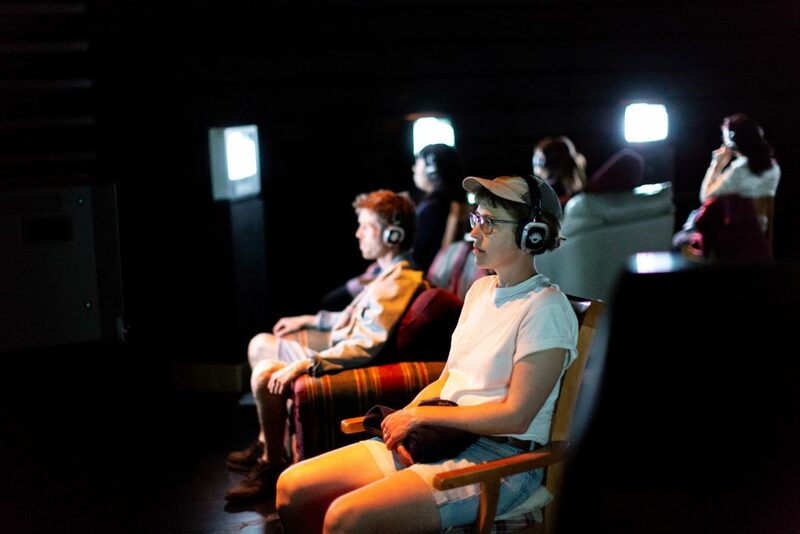 Now Is The Time To Say Nothing, which will take place at Hull Central Library, is an interactive sound and video installation exploring the role of screens in observing global conflicts. The show is a provocation against armchair passivity. Olivia Furber, Ramzi Maqdisi, 9T Antiope and Hannah Mason’s The Land’s Heart Is Greater Than Its Map is created with the support of Villa Waldberta and Meta Theater. Audiences are invited on an alternative guided tour of a city where the truth is stranger than fiction: you can see the sea but are forbidden to touch it, being honest is illegal and those with ancestors from the city are forbidden to enter it. This intriguing piece of work is presented in Kardomah 94. Festival producers E52 said: “This is the twelfth season of Heads Up Festival. The festival has been in existence for six years. That’s quite an achievement. During that time we’ve consistently brought work of the highest artistic excellence to the city of Hull, including productions and performances by Kaleider, Jess Thom, Theatre Ad Infinitum, Theatre Conspiracy, non zero one, Victoria Melody, Berkavitch, Conrad Murray and Will Dickie, and look forward to welcoming this season’s artists and theatremakers to Heads Up. “We have demonstrated that we are about bringing the very best work to the city, presenting that work in unique surroundings, and playing a big part in the development of new pieces of work, both nationally, internationally and more locally. Heads Up Festival is produced by E52 in partnership with Battersea Arts Centre. Be the first to comment on "Heads Up clocks up a dozen festivals"